Hey guys! Today’s post is on a sample I got from my Walmart Summer 2018 Beauty Box. 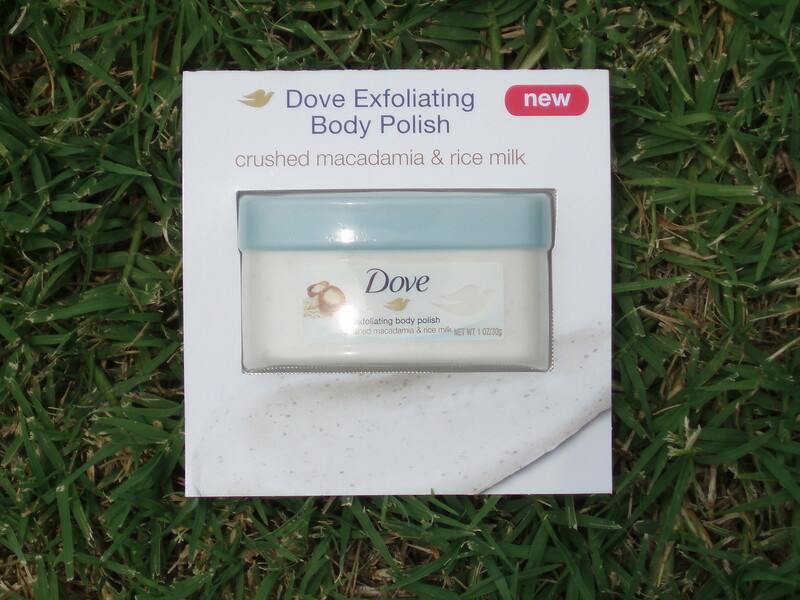 Here’s my quick review on the Dove Exfoliating Body Polish. What I love about this product? While this sample lasted me only for one shower, I feel like I have enough to share with you my thoughts on this product. I was expecting a nutty scent kinda like a coconut maybe, but it’s not quite like that. It’s most subtle, like some lightly scented baked cookie with nuts that has a hint of vanilla. It’s not strong at all to me. My husband said it reminds him of a detergent scent — not like full-on Tide but one of those various Gain scents or something. It’s pleasant. The texture of it is on the creamy side to me and I can actually just use my hands to grab a good amount and rub it over my body in a circular motion. I don’t feel like the product melts away too fast in the shower but I definitely applied it to damp skin as opposed to under running water. It’s not very exfoliating to me but it actually does the job still. It mildly exfoliates is what I would say. It left my skin feeling luxuriously soft and smooth. What I don’t like about this product? Nothing at all! Once I’m done going through my stock of body washes and scrubs, I’m off to purchase this! It can be purchased in many retailers for a reasonable price. This entry was posted on July 16, 2018 by kittypolishnbags. It was filed under body scrub, Dove and was tagged with body scrub, Dove.